How will you “pass out” this week? Test your limits, push hard, and reach your max! Add more plates to the bar? Crank the resistance knob another turn to the right, increasing gear? Run faster, decreasing 1-mile time record? Push harder and smoother through the 2000M race? Do you need help reaching your fitness goals? Make your next workout hard but doable! 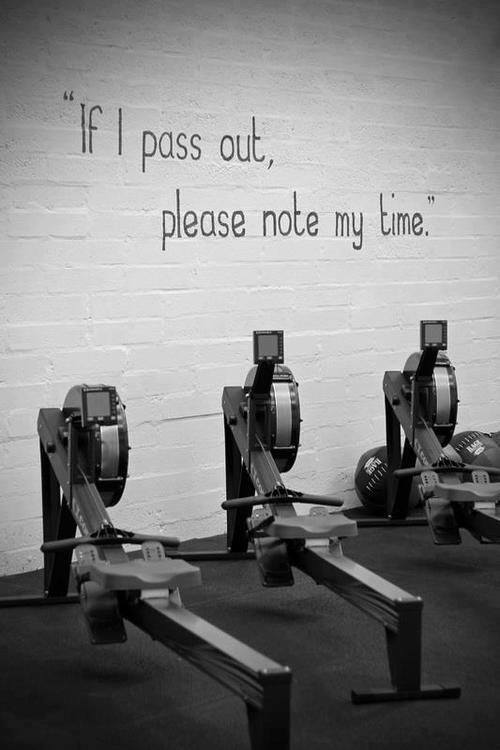 This entry was posted in Goal Setting, Inspiration, Motivation and tagged Erg, Fitness Goals, Personal Record, PR, Rowing Machine, Time. Bookmark the permalink.